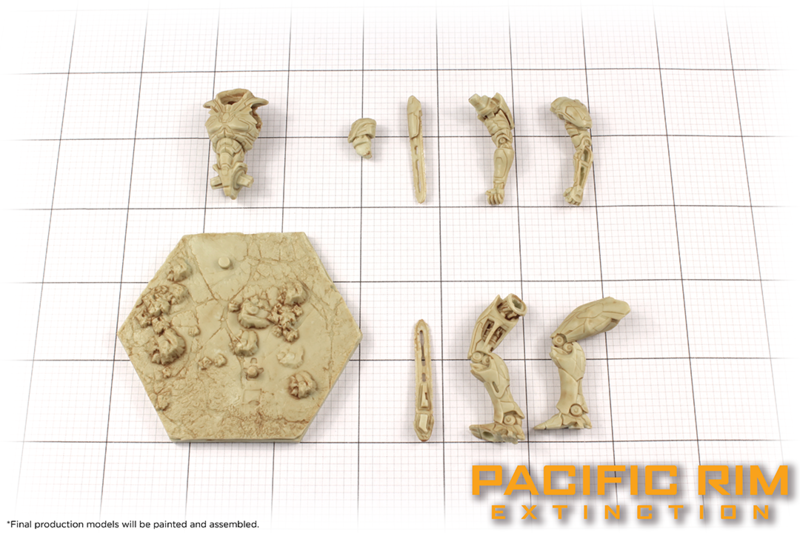 We have been sent the final production samples of the amazing Jaeger models of Pacific Rim: Extinction Starter Set and Wave One, and we will be releasing some images of the unpainted resin models in their component parts and fully assembled so you can take a closer look at the detail that exists on the models. This week we present to you, Obsidian Fury. 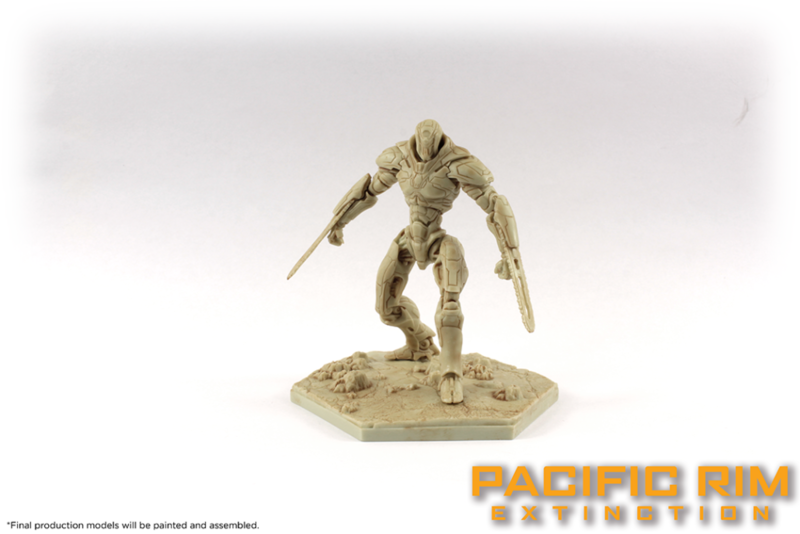 Obsidian Fury poses a unique threat to the PPDC. Though no-one seems to know why, this sinister machine has been recorded attacking and destroying its supposed allies in battle, the Jaegers of the Mark VI fleet. With operators and motives as dark and shadowy as its armour, Obsidian Fury is an unknown force of chaos, unleashing mayhem against humanity with only the other Jaegers capable of stopping it. Who is really pulling its strings…? Here you can see the parts that makeup Obsidian Fury. The miniatures are made out of several pieces to ensure the highest detail possible can be achieved in the production process, this also allows us to ensure that we can give the miniatures more dynamic poses, in this case, Obsidian Fury has been made to lunge, ready to pounce! Keep an eye on Kickstarter for further updates, subscribe to our newsletter for further updates from River Horse. Join the conversation on our Facebook, Instagram, Twitter, and YouTube.